The Brilliant Comedy of Pride and Prejudice – The Bookshelf of Emily J.
Jane Austen’s Pride and Prejudice (1813) is the first book on the BBC book list. I think that is fitting, given the fact that it is a popular novel, even among young people today. In its time, the book was admired and imitated (see Elizabeth Gaskell’s North and South). The title was originally First Impressions, which fits the mistaken notions Mr. Darcy and Elizabeth have of each other. However, it ended up being called Pride and Prejudice, apparently taken from a novel that Jane Austen admired, Cecilia by Fanny Burney published in 1782. All this time I thought that the pride and prejudice theme was a Jane Austen original. Despite her borrowing of the phrase, her novel is one of the most well-known classics, and several movie and miniseries versions have been made of it. My personal favorite of those dramatic interpretations is the 2005 version with Keira Knightley. I know, I know. You don’t like that one at all. However, I do. The screenwriter kept a lot of the original language and quotes from the book. But most compelling for me is the music by Dario Marianelli. 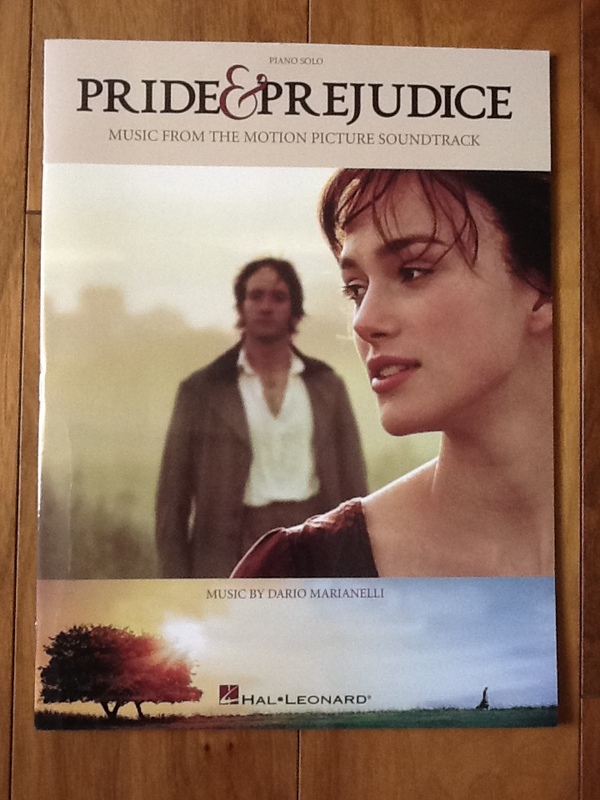 It’s stunningly beautiful, and I don’t know any pianist that didn’t immediately buy the sheet music after seeing that movie. Apparently, Beethoven’s sonatas were the inspiration for the score. And now I realize why I love the music so much. I love Beethoven. I remember my motivation for becoming a better pianist in fifth grade was Beethoven’s Fur Elise, as it is for many young pianists. Beethoven is one of the few composers that I spent time with on my own without prodding from a teacher as a young child. I used to pull out this large, heavy collection of his work and just page through it, stopping to play the pieces that looked most melodic or approachable. I learned Sonata No. 8 (Pathetique), Sonata No. 14 (Moonlight Sonata), and Adieu to the Piano (actually not confirmed or known as a Beethoven composition for sure) this way. Because of Marianelli’s basis of Beethoven, it’s no wonder the score was nominated for an academy award, along with Keira Knightley for best actress. Neither won. Despite my love for this adaptation of the book, I do own the 1995 BBC version, which is fabulous as well. Photo by Tony Shek from Wikimedia Commons; Keira Knightley at the premiere of Pride and Prejudice in Toronto International Film Festival 2005. I first read Pride and Prejudice as a high school student during a summer break. My mother instituted a book club that summer with my sisters and me. We each had to read a book every week, and then on Sunday afternoons we would meet and tell each other about the books. The premise of reading something in a week felt daunting, but we all were able to do so and it is one of my fonder memories of my mother. She instilled a love of reading in me that has obviously shaped the course of my entire life and work. I loved Pride and Prejudice that summer. I couldn’t wait to finish my chores and piano practice each day so I could spend the afternoon sprawled on my bed with that heavy, red, leather-covered book. My mom had a small collection of leather-bound books, and from that group I chose Pride and Prejudice. I found myself surprised at the ease with which I could understand the unfamiliar and Romantic prose. I fell in love with Mr. Darcy as Elizabeth did, and I sympathized with Elizabeth over her mother’s ridiculous notions and follies. My favorite part of the book is when Elizabeth is contemplating her unwanted proposal from Mr. Collins. He isn’t right for her, she doesn’t love him, and the marriage would always be unhappy on her end. It would be a pity marriage, or like marrying the class nerd just because you felt sorry for him. Marriages shouldn’t be made out of pity. Elizabeth’s mother is putting this pressure on her, reminding her that she’s the oldest daughter and telling her that if she refuses, she will never speak to her again. Mr. Bennet in all of his wit and wisdom says, “An unhappy alternative is before you, Elizabeth. From this day, you must be a stranger to one of your parents. Your mother will never see you again if you do not marry Mr. Collins, and I will never see you if you do.” I just wanted to throw my arms around Mr. Bennet and kiss him when he says this. It is brilliant comedy and also shows the love and concern of a father who understands his oldest daughter. In the last few years, a lot of zombie books have been coming out. One was titled Pride and Prejudice and Zombies by Jane Austen and Seth Grahame-Smith. It is Austen’s original text with scenes and words added to include zombies. I tried to read it. Truly I did. I got to the part where Elizabeth and her sisters are crossing the field to visit Netherfield, and on their way they are attacked by zombies. So, when they arrive, the mud on their skirts and in their hair is a result of their fierce ninja skills, not the muddy countryside and the persistent rain. I just couldn’t finish it. The novel is a great idea, a fun idea, but just not for me. Have you read Pride and Prejudice and Zombies? I found this character map on Wikipedia. It is quite interesting and I thought you might find it helpful and enjoyable as well. Great post! I love P&P. The books, miniseries, the movie – love it. Also, I totally agree, the score to the 2005 film makes my heart bloody well swell like nothing. Also Matthew Macfadyen is smoking hot. Definitely gives Colin Firth a run for his money. Ooer. He does give Colin Firth a run for his money! Thanks. Oh how I love this book. And I agree the music in the 2005 movie is amazing. My favorite part? I have so many of them. I love Elizabeth’s witty commentary. I especially loves when she tells Miss Bingley that they should punish Mr Darcy by laughing at him. Also love that line that you mentioned above. Mr Bennett is one of my favorite characters. For some reason, I had a really hard time with P&P growing up. I’ve always absolutely adored Jane Eyre, and I felt that P&P was too dull and insubstantial comparatively. It wasn’t until my senior year of high school that I finally forced myself to finish the whole thing, and I do enjoy it now. And I, too, love the 2005 Kiera Knightley version and went out and bought the sheet music, though I’m more of a Chopin girl, myself. Yes, the header is a photo of all the purple books I could find in my house. Not a very good photo, but it works, nonetheless. I do like the McCall Smith books, and the HBO series is fantastic. Was it canceled after one season? Sad. Good post, and also my favourite book. I saw it on a much older BBC adaptation, and my mum bought me the first copy of the book I saw (I must have been about 12 or so). Only on the umpteeth reading did I realise just how sarcastic Jane Austen was being most of the time. It gives a whole new dimension to the book. Incidentally, although my modern sense also sides with Elizabeth for refusing Collins, her mother is only being sensible in trying to get her daughters married, and her father (an otherwise wonderful man) is choosing to ignore the sad fact that after he dies, his wife and children are homeless, and probably unable to look after themselves without all those servants. It’s a subtle touch that the silly, irritating parent has the common sense and is therefore overlooked. Anyway, my problem with the Kiera Knightley version, in which she is outstanding by the way, is Mr Macfadyen. He isn’t brooding, he isn’t haughty, he’s just miserable. He asks her to marry him and he’s still miserable when she accepts him. Since Elizabeth loves the joyful, ridiculous side of life, I just can’t see her falling for such a misery guts. Good defense of Mrs. Bennet. She needed it. And I have never read the book for sarcasm, but I will now! Thanks! I tried reading P&P for the first time in 7th or 8th grade and had too much trouble understanding it, so I gave it up. The summer after my Senior year of high school, I determined that I would read it because it was a classic. I fell in love. Several of my friends who know me and know the book/movie have compared me to Jane because I always think the best of people and really hate hurting anyone’s feelings. I agree with you about the 2005 version of the movie. I would have to say that my favorite part of the book is the conversation leading up to Mr. Darcy’s second proposal. It makes me squee every time. I would highly recommend Mr. Darcy’s Diary by Amanda Grange. It’s basically P&P from Darcy’s perspective. Loved your post. Thanks, Sarah! I will have to try Mr. Darcy’s Diary. And I’m glad you gave Pride and Prejudice another try. Loved this post because it’s about one of my very favorite books. I can’t pick a favorite part! That must be why I prefer the BBC version of the movie because it doesn’t make me choose! I do agree with you about the 2005 movie score. The music is lovely, the setting is beautiful. But I hate the script and the pace of the movie. It’s like they tried to cram too much dialogue into the time frame allotted. Everyone talks so fast I can’t understand them sometimes even though I’ve read the book about a million times. Keira Knightly’s costumes drive me crazy.Why would she wear an ugly brown dress to a ball? And her costumes weren’t all period. I think I had a dress just like the brown one in high school, except that mine at least had flowers on it. Mr. Darcy always seems sad (as opposed to simply reserved); I’m not sure he ever smiles, even when he’s supposed to be happy. I obviously had a strong reaction to that movie;) Sorry to go on so. But the book… yes, I am in love with the book. There we definitely have common ground. Mr. Bennett is probably my favorite character. He is usually funny, always human. How many of us wish we had such a connection with our own fathers as Elizabeth has with hers. I think you have hit the nail on the head for me. Mr. Bennet and Elizabeth do have an enviable relationship. That is why I like it so much! You also have many valid points about the movie. The BBC version is more complete and accurate. Thanks for commenting! Pride and Prejudice and Persuasion are two of my favourite novels of all time. And, like you, I love the 2005 adaptation. All of it is excellent, but I would watch the whole movie to see Darcy walking through the mist to declare his love for Elizabeth near the very end. As for the novel, my own favourite part has to do with the rest of the Collins proposal – when she learns that Charlotte has accepted and realizes how fortunate she is to have the ability to choose for love and happiness rather than duty and security. Charlotte makes the best of the situation, and marrying Collins is certainly better than living out her life “as a burden to my parents”, but I’m awfully glad that Austen had better things in store for Elizabeth. Isn’t that funny how it is okay for Charlotte to settle, but not our dear heroine? I guess that’s how life is sometimes. The “pretty” ones have more options. But we like it that way, I suppose, especially in our novels. But Charlotte makes a compelling argument that she is much older than Elizabeth and has not yet had a proposal. Elizabeth is just twenty, so in that very confined world, she still has time to make her choices. I seem to remember that Charlotte is 27, and in Persuasion, all hopes of new suitors were over for Anne Elliott at 29. I think Collins gives Charlotte the ability to choose a better life, because marriage gives her opportunities she wouldn’t otherwise have. Hmmm…while I agree that Austen doesn’t castigate Charlotte for making that choice, I don’t think she presents it in a positive light. Rather, she highlights the plight of women, in that for an intelligent woman like Charlotte, an idiot like Collins is a good option. This is the type of inequity that Austen repeatedly exposes and satirises – and it’s one of the many reasons that I agree with one of the posters below, that Austen is the greatest writer in English since Shakespeare. It is feminist – as was Austen, without a shadow of a doubt. And that is one of the many reasons I love her so very much. Good point, and I agree with your assessment of Austen’s prowess. 🙂 I am a bit of an Austen fangirl – and proud of it! I just found your blog. I could read commentary about Jane Austen all day long! Pride and Prejudice is a work I like to revisit every couple of years. I lost the old copy I once had at some point, having moved several times for my education and career, but I recently acquired another copy in a library sale. As for my favorite rendition of Mr. Darcy, I’m going to go with something a bit unorthodox: Robert Webb’s “free style disco” Darcy (http://www.youtube.com/watch?v=gTchxR4suto). Oh, how funny! I love that because one of my favorite celebrities actually brought the conga from Cuba and started a conga craze in the 1940s: Desi Arnaz. Thanks for sharing! So far I’m the only one who read Pride and Prejudice and Zombies, and yes, I hated it. Clever but ridiculous. That didn’t keep me from reading Sense and Sensibility and Sea Monsters, and I hated that one even more. Still clever, though. I didn’t realize there was a Sense and Sensibility and Sea Monsters! That sounds atrocious! But I like your description, clever but ridiculous. Spot on. I was trying to give the genre a chance before totally throwing it out, but I’m done and done. 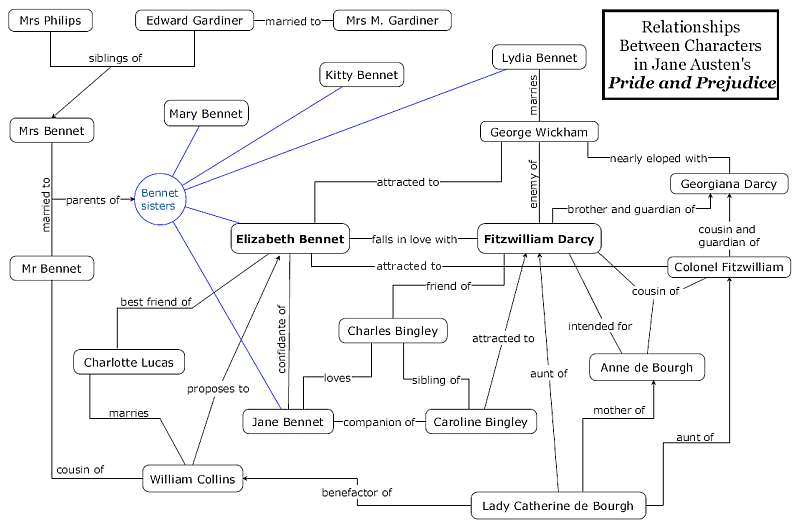 great article, i came upon it while searching for some pride and prejudice images. It’s summer, so I’ve been watching any movie I hadn’t gotten a chance to watch the past 8 months. The version of Pride and Prejudice with Keira Knightley is one of my favorite movies ever. I think I’ve watched it 10 times already, and yes, I watched it again this past week. I’m actually watching the Colin Firth mini series now, just out of curiosity. Wow! You are a true fan. I am glad to know that I am not alone in my love for that movie version. Thanks for stopping by! I read it and boy! was I wrong. You must be one tough person to have come through all that. But you ability to articulate your experience must be a big help. I have read Chua’s book, but it didn’t resonate with me.I dare say it would not. Thanks for the clarification — I take back my original comment! “not” should have been “now.” And “you” should have been “your.” Damned gremlins! I understand! My iPad keyboard doesn’t respond as fast as I type and I get all sorts of typos that I never had before. Thanks for reading! P.S. People shouldn’t judge Austen from the movies (though they are great). She deserves to be read and treasured word by word. But, but, but…have you seen the 1995 BBC one? Just so much better – I actually don’t really think you can do justice to most books in film format – you lose too much. Sorry – ignore that – *read post properly before commenting* – after a week of dealing with unpleasant comments from people who clearly haven’t read things properly am very ashamed to now have to count myself of their number! I still think you’re wrong though! Ha ha! I am sorry about your really annoying comments. I was shocked at the one that suggested you get a gun. What a nerd! As to the BBC version, I love it too, but you make a good point in that none of them are as good as the book. You just can’t beat it! My favorite part of the novel is the passage where Elizabeth is reading Mr. Darcy’s letter. It’s in that moment when she starts to realize all the things I had been trying to tell her for a while. Yes, I talk to fictional characters… The part with Elizabeth’s father telling her he doesn’t expect her to marry Mr. Collins is another favorite. I had a reaction to that statement similar to the reaction you described. I read Pride and Prejudice for the first time when I was eleven and have read it three or four times since. I think it’s a true testament to Jane Austen’s brilliance that after two hundred years, not only are her novels still read and enjoyed, but there are also spin-off novels and fan fiction type stories still being written about them. Pride and Prejudice remains one of my favorite books no matter how many wonderful others I read. I love that you talk to fictional characters! Sometimes they need it. And I think we can add to her testament as a writer that her work is still relevant and timely. Thanks for the great comment! Pingback: I’d Rather Write Nonfiction « The Bookshelf of Emily J.
You’re definitely right about the music in the 2005 version- absolutely beautiful. Dario Marianelli also composed the soundtrack for Atonement, which was also fantastic.. I listen it on repeat whenever I study. I can’t say which version I liked better, the movie or the miniseries- I adored them both (but that’s not saying much, since after reading the book I grab anything P&P related I can get my hands on!). But I do like the Mr. Collins in the miniseries better. I still cringe when I think of him! Thank you! I don’t remember the music from Atonement. I will have to check that out. And yes, Mr. Collins is always cringe-worthy! Pingback: Sundance Film Festival 2013 Movie Review: Austenland « The Bookshelf of Emily J.
Pingback: Reading Books and Remembering Places « The Bookshelf of Emily J.
I’ve never understood everyone’s love for Pride and Prejudice. I read it first as a high school student and hated it. I tried attributing that to the fact that it was an assigned book, and I was just being a headstrong teenager. But I revisited the book just last year (at 23) and still cannot see what everyone finds so appealing. I agree that the best dynamic between characters is between Elizabeth and her father, but that’s the only redeeming quality I can find about it. I’m just commenting now because I just found your blog (and this article) trying to find ping-backs for the post I just wrote about Pride, Prejudice and Zombies. If you can believe it, the outrageousness of the zombie version actually helped me to take something more away from the original work. While it might not be the most triumphant literary piece ever, the fight scenes gave me enough of a break between long drawn-out paragraphs about pining over men to help me understand just what was going on in the characters’ personal lives. By the way, your pieces are so wonderfully thought out and planned. I love the layout of your media within the article. Beautiful blog! Having just read Pride and Prejudice, I can’t quite share your sentiments, I didn’t really like it. I guess that might be because I’m not such a romantic, or more accurately, I seem to dislike the romantic genre of novels (though this was my first, and probably last), I just find it too dull. I’m more interested in plot than the subtle characterisation. Though I do love characterisation, I don’t really find it all that interesting to see Elizabeth and Darcy get together, it just makes me roll my eyes. I almost think it’s cliqued (boy and girl meet each other but hate each other, which just makes them eventually love each other) but then I remember that at the time, there probably wasn’t so many books like this. I have to agree with you on the favourite moment, that really did make me smile. Mr Bennet was the character I liked the most, his wit and humour did make me smile. I’m glad I’ve read the book, but I don’t think I’ll be revisiting it, or seeing an adaptation (if I can help it). You said you learnt Moonlight Sonata, that’s one of my favourite pieces. I’m guessing you didn’t do movement three, cause if you did, you are amazing and I really envy you! That’s my sort of ‘goal piece’, if I can play the third movement, I would be more than content with my piano playing. One day I’ll get there, but, might take a few years! And now you’ve gone and gotten me listening to the soundtrack to the 2005 movie, really great music there! I completely understand your view on this! I just finished Austen’s Sense and Sensibility and found it boring. I have a feeling that if I reread Pride and Prejudice now, I wouldn’t like it as much as when I was a teenager. I’m glad you like the music! It really is gorgeous. And, no, I didn’t learn the third movement, but I could if I wanted. I am actually quite an accomplished pianist. I prefer Beethoven’s Pathetique to the Moonlight, however. Thanks for commenting! Pingback: Warming Up to Bridget Jones’s Diary | The Bookshelf of Emily J. Maybe it is because I am still in my late teens, or maybe its just the fact that in the summer before my high school, the first classic handed to me-a piece that had been with my grandmother and had been passed around the whole family-was a battered, overly used Pride and Prejudice. I started the book annoyed wanting rather to read more Meg Cabots (silly me I know) but that annoyance went away never to return, and I only surfaced to the world around me at twelve in the night-after reading the end to the book. And I have to admit, its the book I have read the most. Especially when I have one of those spells where every book I go through is crap, this book or Jane Eyre is sure to rescue my love for novels. Sadly, though, that was the only actually amazingly lovable book by Austen. The others were just-lukewarm. Or even worse. I completely agree. I loved Pride and Prejudice as a teen, and now that I am trying to read other Austen novels for this blog, I am not enjoying it! It sounds like you have some neat memories of this book and how you came to read it and enjoy it. Thanks for sharing! yeah, the others were a disappointment. My favourite scene is nearly at the end, where Elizabeth and Darcy take a walk and she revealed her feelings for him. I love this scene in the book and in both movies. But I think, that Keira Knightley and Matthew Macfadyen act better, than Colin Firth and Jennifer Ehle – but I can’t really explain why. I mean, with it’s 300 minutes, the movie from 1995 more extensive, but I do like Keira and Matthew due to their chime as a couple and as actors more. I’m glad to hear that you like it too. The more I think about it, I don’t know if I’ve seen the Colin Firth one, and if I have, I’ve forgotten. I need to revisit it to compare! I’ve read the book and watched both movies. The 2005 version is my favorite. Most distinctly what sticks out is the rain scene outside. It is one of the best cinematic scenes ever. The anger and passion rolled up into ever sentence. I don’t think Austin hints to an almost kiss but this scene takes that screenplay and does more with it than originally written. But it is a story of misconception and fighting a feeling you aren’t supposed to have, a unique version of unrequited love we don’t see as much today. Overall, I think I aspire to reproduce a Darcy hero in my own work. At some point you hate him but in the end, you love him. For that Austen was a genius! For the strength she wrote in Elizabeth to be more than she came from… is what all women want. Love her! What great observations! I think you are onto something with the book being about fighting emotions and that may just be the reason it resonates with so many of us. Emotions are a tricky and scary thing, and I think a lot of times we are taught growing up to suppress or hide them. Pingback: Honoring Jane Austen | The Bookshelf of Emily J.
Pingback: Literary Jerks | The Bookshelf of Emily J.